Construction industry is quickly developing in light steel structure building. That gets good reputation. 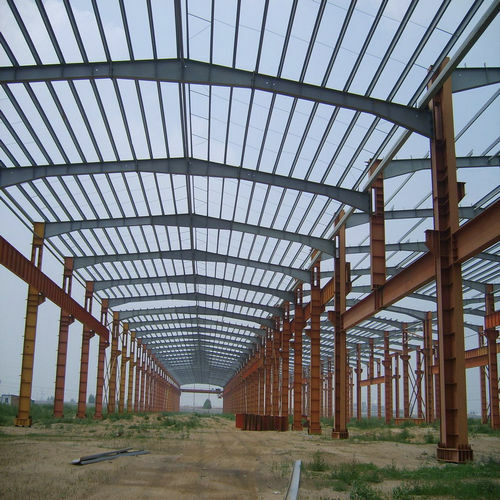 Nowadays, light steel structure building apply in the agriculture. The main impacts are compound type shed framework and green house framework . Light steel structure can recycle that convenience for transportation and getting high production efficiency, especially in the agriculture. It can stop erosion with external environment and reduce huge hurt instead of normal bamboo as greenhouse framework. But now light steel structure is using in greenhouse that not only reduce cost, but also resist pressure and own high resistance. On the production impact, it can be big scale, such as square framework, round framework and empty framework etc. It can plate a layer of rubber. Then for it not only prevent waterproof, but it also prevent ultraviolet ray. In addition, light steel structure framework is stronger than normal framework. Furthermore, that makes it more and more secure and reliable.